Sometimes a software application begins to behave erratically, and you start thinking about an uninstall/reinstall. This happens less in FrameMaker than in my CC applications but the need still arises. 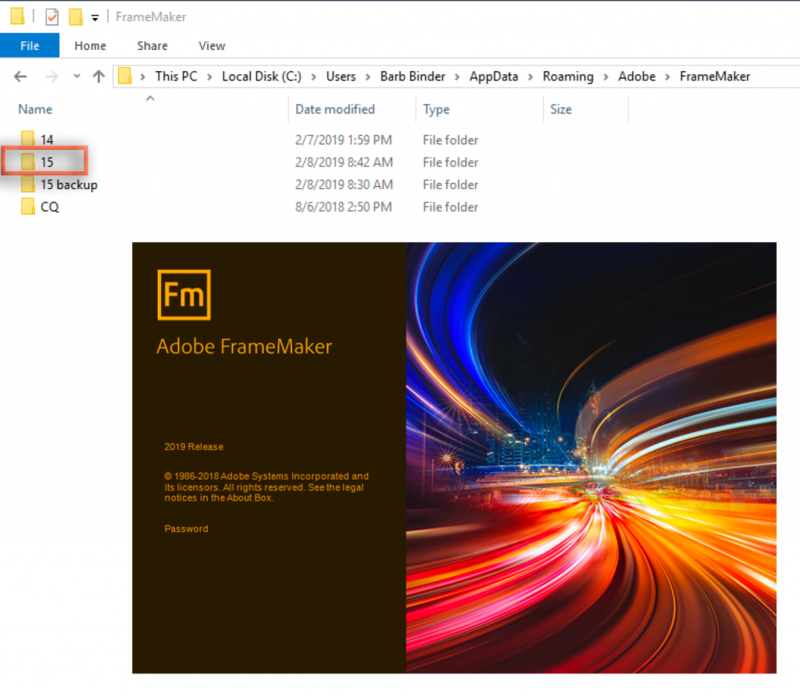 Before you uninstall, try regenerating the FrameMaker preference folder. 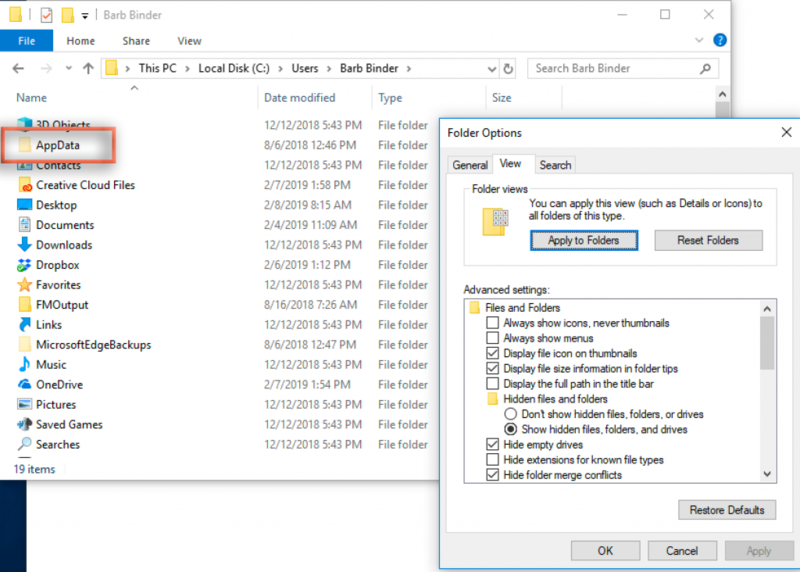 Rename the version folder (i.e., “14” for Fm 2017 or “15” for Fm 2019). I called mine “15 backup”. Restart FrameMaker. As FrameMaker launches, you can see it recreate the folder with fresh content. If this solves the problem, great! If not, you can delete the newly created folder, and restore the original or move on to an uninstall/reinstall. 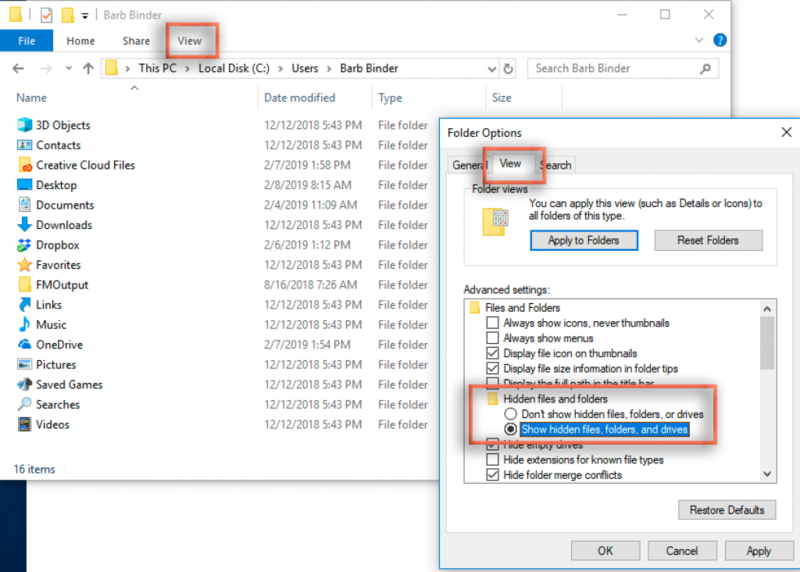 Under Advanced Settings, enable Show hidden files, folders and drives and click apply.